‘Economic Zones’ are the vanguard to opening a country’s economic supply chain to the outside world. They provide an environment laced with a liberalised regulatory regime and financial incentives, which help to attract investment, kick-start production, generate quality employment, and give a thrust to trade. Most emerging economies are moving towards adopting this framework and creating ‘specialised’ economic and export hubs that would give them better access to foreign funding and an inexhaustible overseas consumer base. Presently, ‘Special Economic Zones’ in India are an integral part of the country’s domestic as well as foreign policy, they help attract FDI, and epitomise the philosophy of initiatives such as ‘Make in India’, ‘Digital India’ and ‘Skill India’. The country boasts of 231 operational SEZ and around 355 SEZ that are notified (as on 22nd January, 2019). An additional 421 SEZ acquired formal approvals and 32 secured in-principle approvals (as on 30th September, 2018). Global audit, accounting and consulting group, Mazars India has partnered with Exhibitions India Group to prepare a knowledge paper titled “Specialising the EZ Footprint”. The paper talks about the existing SEZ scenario in the country, and how policies, both at Union and State level, are encouraging manufacture, investment and trading activities through a slew of incentives and rebates. It briefly explores the economics of the industries based in such zones, the impact of policies on their businesses, bottlenecks faced by them, etc. 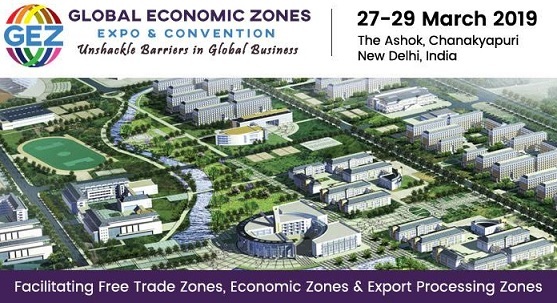 The knowledge paper will be launched at the first ever Global Economic Zones (GEZ) Expo & Convention 2019, to be held at The Ashok, Chanakyapuri, New Delhi, from 27-29 March 2019. The event is organised by the Export Promotion Council for EOUs & SEZs (EPCES) in collaboration with Wbf International Centre Services (WICS), and managed by the Exhibitions India Group (EIG), a highly professional company with over 30 years’ experience in trade shows. Mazars is a leading independent and integrated international organisation that specialises in audit, accountancy, advisory and tax services. It assists major international groups, entrepreneurial and small businesses, private investors and public bodies at every stage of their development.